Tottenham only just scraped past Burnley in their last Premier League match but still have a more impressive overall Trueform chart than Everton. The Toffees have lost four and drawn one of their other encounters with top-six teams this term and were beaten 4-0 and 3-0 by Spurs last season. That all makes 5/4 for an away win worth support as our opening Everton vs Tottenham prediction. Everton were unlucky to suffer a derby defeat at the start of the month but have since failed to impress when drawing at home to Newcastle and Watford, before a 3-1 loss at Manchester City. Dominic Calvert-Lewin gave the Toffees some hope at Etihad Stadium when pulling the score back to 2-1 on 65 minutes, but Raheem Sterling quickly restored City’s two-goal advantage. Richarlison did waste a great chance when it was goalless, but Marco Silva admitted: “City deserved the three points. Everton made the champions work hard at times and finished strongly, but it is easy to feel that they are still a level below the Premier League’s elite clubs. Looking at the Everton vs Tottenham odds, we like 9/2 for this to be a draw at half-time and then Spurs to prevail. Last Everton line-up: Pickford, Keane, Zouma, Digne, Mina, Coleman, Andre Gomes, Sigurdsson, Bernard, Calvert-Lewin, Richarlison. Key Everton players Richarlison and Andre Gomes are both fit, but Idrissa Gana Gueye faces a late fitness test on a groin injury. Tottenham needed a stoppage-time Christian Eriksen effort to edge out Burnley 1-0 at Wembley and also had to fit in an EFL Cup trip to Arsenal ahead of this tricky fixture. However, Spurs won well at Leicester in their last top-flight away game and then showed great heart in a Champions League draw at Barcelona, so Spurs now seem a resilient bunch. After his side stayed in third place by beating the Clarets, six points off the pace, Mauricio Pochettino said: “We are in a very good position…everything is possible. “Look what happened in the Champions League; after three games only one point and in the end, we believed and now are in the next stage. 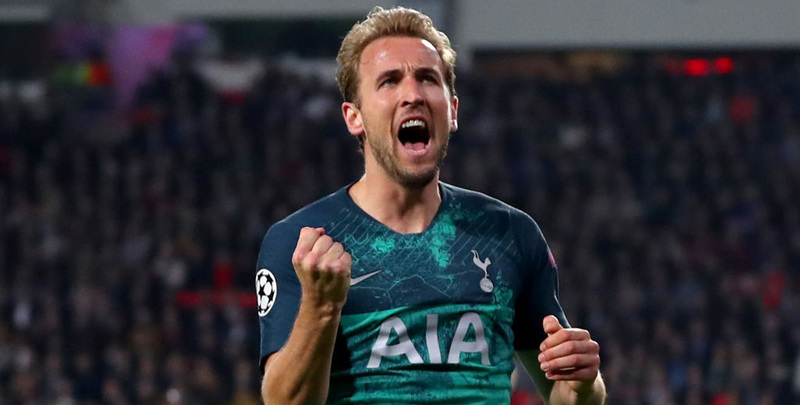 Harry Kane has netted six times in the last three encounters with the Toffees, so 3/1 for him to break the deadlock is an obvious choice for our Everton vs Tottenham betting tips. Last Tottenham EPL line-up: Lloris, Trippier, Rose, Alderweireld, Davies, Lamela, Sissoko, Alli, Lucas Moura, Skipp, Kane.